The proposed American University of Malta earmarked for the south has triggered off a storm. 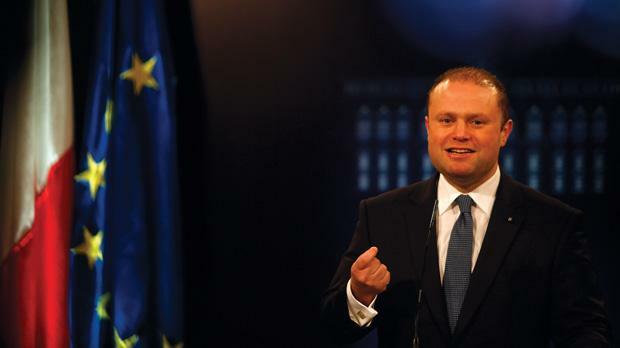 Prime Minister Joseph Muscat tells Caroline Muscat he will not take double standards. The government is at an advanced stage of negotiations with inves­tors for a university that does not exist. It has led to criticism that this is nothing more than a real estate project. What’s your explanation? There are two principles guiding this project. First, pluralism in tertiary education – I think we are the only EU country with only one university. Monopolies have ended and education is no exception. We have an electoral mandate to do this. The second is that the south can no longer be synonymous with pollu­ting investment; it can’t just be the country’s rubbish dump. Everything else beyond these two principles is relative – whether it’s Marsascala or elsewhere in the south is open to question. I have commissioned another exercise on site selection to see if we missed something out. The proposed site for the new university near Marsascala. Will you guarantee that this is not a real estate project? That is the condition we have set with the investors. We will not allow this development to turn into flats or anything else. If it’s not a university, there is no project. From now until the time this pro­ject will start, if it starts, operations would have already started in Smart City [where courses are planned for until the university is built]. The commencement of operations at Smart City will show whether they are successful or not. If they’re not successful, we will be in time to stop certain decisions. What about the alternatives suggested? I’ve heard four so far: one from Alternattiva Demokratika and three from the Nationalist Party. 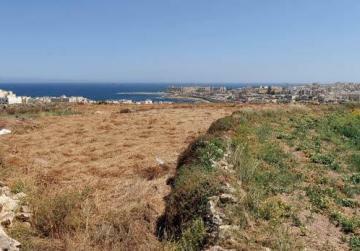 AD’s proposal for Fort Ricasoli could make sense at first glance but there are issues. Conservationists tell us to be careful how to use our historical assets and asked what studies back this suggestion. Are we now saying educational and healthcare projects can’t be built in ODZ? Those involved in the film industry said Fort Ricasoli is one of our main selling points and that’s an asset out of our portfolio… So there’s a price to pay if we use that site. Two of the three locations mentioned by the Opposition are not in the south. The PN’s suggestion is the ex-Dowty factory, but where do we put the waiting list of factories needing locations? The old St Luke’s hospital, as the Opposition should know, is already part of a request for proposals linked to the regeneration of the Gozo hospital in the agreement with Bart’s medical school and the need to expand Mater Dei. If we don’t use outside development zone land for the university we would need it for the hospital, and Mater Dei was built on ODZ land. The Opposition’s proposal that makes sense is the old Petroleum Division in Birżebbuġa, but it will take at least two years to clean up. This project can’t wait that long. Because there are certain obligations from the investors’ side for them to bring in students. They are not dreaming about whether students will come. There is already significant interest from students who want to come to Malta. They need a place to host these students and if it’s not Malta they will go elsewhere. What are the students applying for since there’s no university at the moment? It’s important to note that the investors are operating no other university. But we are relatively satisfied from what we have seen so far that they have all the necessary contacts, things are set in place and they have the finances to really establish a university of the highest standards. Their rental of Smart City space to host students until the university is built has already increased from 600 square metres to 1,000 square metres because of student demand. Where is this demand coming from? I think there’s a very romantic idea of what a university is, but in reality all universities, established or new, see themselves as a business. There’s cutthroat competition between different universities that want to survive since government funding is no longer enough. Yes, the accreditation process still needs to be done, and Maltese authorities will be monitoring that accreditation process. They re­cruited De Paul University as part of the whole concept because it designs study programmes and they are putting forward ideas that would appeal to certain people. What you are mentioning is a genuine concern and one we have expressed, but I believe the in­vestors have shown us they mean business. My greater concern is that this argument is used to maintain the status quo. The UK government faced the same criticism in the late 1990s but the lesson learnt was that most of these new universitities are in fact resilient. There are examples in the north of England that show a university builds its own ecosystem and regeneration. Those faceless arguments being made may be reflecting hidden agendas. The status quo has to end. People making these arguments are not necessarily spreading rumours to create obstacles. Columnist and academic Mark Anthony Falzon last week said you can’t talk about the University of Malta as a monopoly – its networks and exchange programmes give it an international dimension and reputation. What are students applying for at the American University of Malta? Yes. That’s why we need to build a reputation for ourselves and that’s why we think the investors are very serious about building this reputation. Opportunities are created when you see the business model and what’s at stake and you take a decision. In my opinion, this is a decision for us to build something new together. You are saying the people need to give up 90,000 square metres of the countryside, where nothing is supposed to be built, to be given to foreign investors. What, in concrete terms, is the public benefit of this project? First of all it’s going to change the perception of the south. From a place where we dump polluting industries to one where positive investment is happening. Secondly, you have a university with 4,000 students living here, outside of the peak tourist season, with their families visiting, and there is an economic return. Our economic assessment is this will contribute to one per cent of GDP. I am genuinely saying that if someone comes up with a better idea for the area we would welcome it. Honestly. How can you say that when you’ve signed an agreement for the university? What we’ve signed is not cast in stone. It’s very clear to both sides that if there is another site that is earmarked and can satisfy the needs we would welcome it. But it has to be feasible. Whatever happens, the natural park will happen. What about your commitments on ODZ protection? This government has not built a project on ODZ land, but we have always granted exceptions to development needed for education and the health sector. This was a policy adopted by the previous government even though the PN built other ODZ projects. The rationalisation scheme (2006) included another two million square metres of ODZ land for development. All the schools that have been built were ODZ. Right now we have an application from the Church to build a school, a monastery and a church on around 80,000 square metres of private ODZ land in Għaxaq [the original application has now been changed to two schools]. What’s good for the goose is good for the gander. So what are people opposing the university project saying? That we can’t build any more on ODZ land even when we need development related to education and healthcare? I will not take double standards. The counter argument is that the schools built on ODZ land – previously San Anton was mentioned – will benefit Maltese children and improve the educational system in the country. It is not clear how the American University of Malta will improve the educational system in Malta because it is the economic benefit that is put forward. That is a short-sighted argument. Apart from the fact that there will be scholarships for Maltese students, I am stunned by arguments that say this is for the Maltese and this is for the foreigners when we are now in the EU. UKIP makes that kind of argument. Those schools have a clear and direct benefit to the public, something that is not yet clear with the AUM, despite public land being given up. If you tell me the benefits of tourism and commerce are not valid, then we should close the Malta Tourism Authority and Malta Enterprise because it means we should no longer accept more hotels or factories. Most of our hotels and factories were built on virgin land. With that argument we will close our hotels and factories because these are not there for the benefit of Maltese but foreigners. Some hotels and factories allowed under the last administration were ODZ. Are we now saying educational and healthcare projects can’t be the same? ODZ is ODZ. So you are saying that it is now open to development for educational and healthcare projects...? We are sticking to the same policy as the previous administration which considered ODZ for education and healthcare pro­jects. While they also used it for old people’s homes and other development, we are saying ODZ will be considered for major pro­jects in these two sectors. So if that was wrong, is this university project right? No. I state again that if there is a viable alternative within the scheme then we are open to considering it. But it has to be in the south. And we have to consider certain boundaries like opportunity cost, and I admit in the Marsascala case there is an opportunity cost on the environment. You have framed the debate on site selection in such a way that the area chosen became the only feasible piece of land, by saying it has to be land in the south that is mostly government-owned. Why can’t the campus be spread, distributing also the economic benefits? There are pros and cons to each option. Spreading the campus may mean you take up more land at the end of the day. For example, it was suggested we include Fort San Leonardo in the campus. It seemed like a good idea at first until we were then told you’d need to pass a road and spoil more land. All I’m saying is that if there’s a workable option we are genuinely interested in hearing it. I’m sure the investors at the moment are thinking ‘why do we need this trouble’? If we look at privately owned land, then we’re going into expropriation – a concept that is not popular. There seems to be political consensus that the government needs to limit expropriation. Most developed land is private. Should we consider taking it away to give it to someone else? There’s a big principle involved in that. We are not saying that. Is this part of the agreement we signed? It has to be a workable solution. We don’t have a fundamental objection to the idea of scattering the campus. But the faculties have to be connected. We can’t spread them around six areas, but if we need to look at two different areas we can. We are open to suggestions. Perhaps one of the mistakes we made was coming out with the project at such an early stage. It is not a fait accompli and I’m aware people do not believe this. I’m sure the investors at the moment are thinking why do we need this trouble? We are not tied to them and they are not tied to us in such a way as Malta or bust. Nobody owes us a living. We are in a competi­tive world and we’re trying to be as smart and level-headed as possible. Was the site selection done in consultation with the investors? Obviously we spoke to them. It’s a preliminary thing. So you asked them would this spot work for you? Yes, in the sense of ‘can you work close to Smart City?’ but then you’re touching more agricultural land. How many options did you give them? I can’t be precise but there was always an issue, mostly one of ownership. There were very few options in development zones and if they existed you still have the issues of ownership and having to demolish derelict properties. This remains open to discussion. But they have to be concrete alternatives. I have asked Mepa to study the options again, even before the alternative site selection exercise that is part of the planning process. One thing we need to consider is do we need 90,000 square metres? Some said we don’t because the building would be around 40,000 square metres. The question is whether to spread the development to minimise the building or concentrate it into one area. There is a great deal of opposition to this project, from citizens to academics to professional bodies to Labour MPs. All have welcomed the investment but not in an ODZ area. Can you act on this call without compromising your agreement with investors? The only parameter I am insisting on is that the university has to be built in the south… Saying they welcome the investment is not enough. If not there, where? I’ll welcome a feasible alternative. But someone has to decide. One of their representatives, Thaer Mukbel, said you convinced the investors to come to Malta in one minute. What did you offer? I offered assistance. I offered a government that would stick its neck out for this project… Here they would not be a number but they will have a government that is willing to work with them. Investors are valued here and they get a whole government backing them up. I’m not apologetic about drawing investment here. What did we commit to? Is the Marsascala land part of the agreement signed? The land is earmarked in the contract as the preferred site but nothing is binding. All we have signed is a statement of intent. Investors needed something to move forward with on the project. MP Marlene Farrugia said she is learning the details of the project from the media. You are again being accused of a lack of transparency – one of the pledges the Labour Party made before the election. What there is in the media is what we have. So we went to the public as soon as an agreement was signed. It wasn’t realistic to do that earlier when there was nothing concrete. At the moment we are having a number of discussions with different investors on various projects, but it’s too early in the day to say anything. With the university, we went public on the first possible occasion. I don’t understand because this is as transparent as it can be. I understand Marlene, and I did mention this university in a parliamentary meeting a few days before the announcement. But I can’t see a situation where we are more transparent.